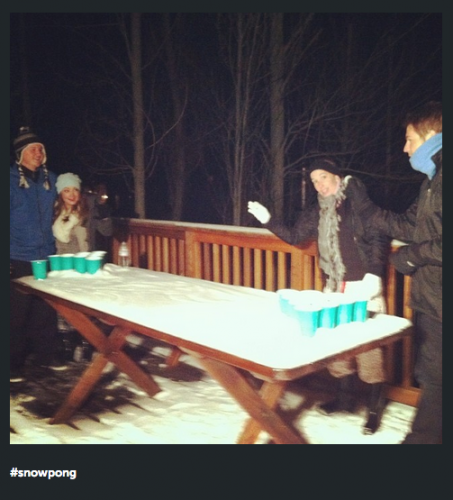 Because your mom always told you to go play outside. 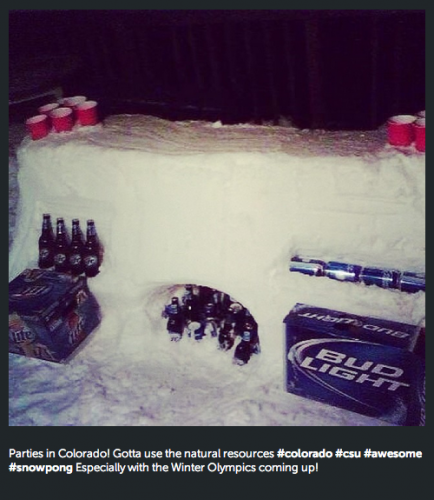 Trapped inside by cold weather and snow, the college students of America have been scheming new ways to get boozed up outdoors. 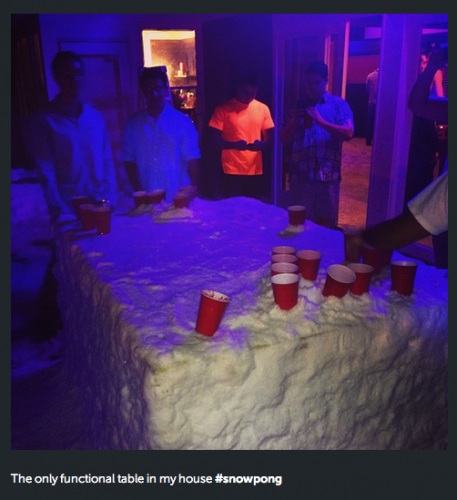 Genius (?) 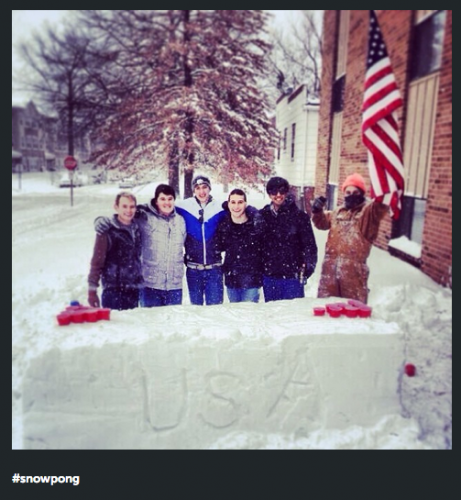 frat bros have created snow pong, which is basically just beer pong played outside in snow pants and beanies. 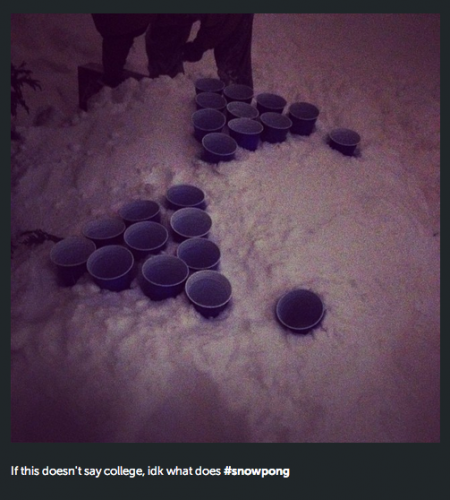 Cups rest in the snow, and hilarity ensues. 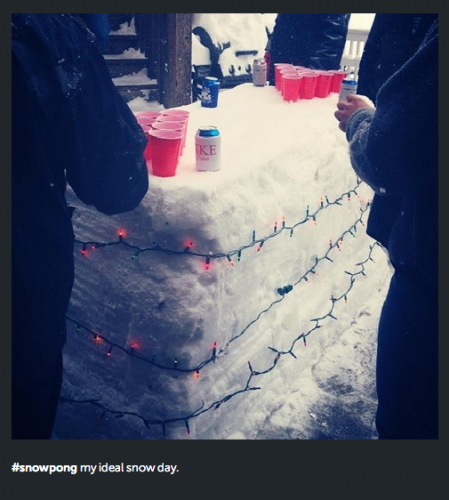 Extra points for Christmas lights, built-in beer coolers, and matching outfits. 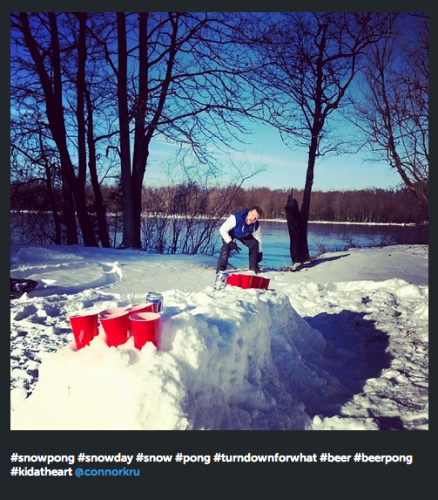 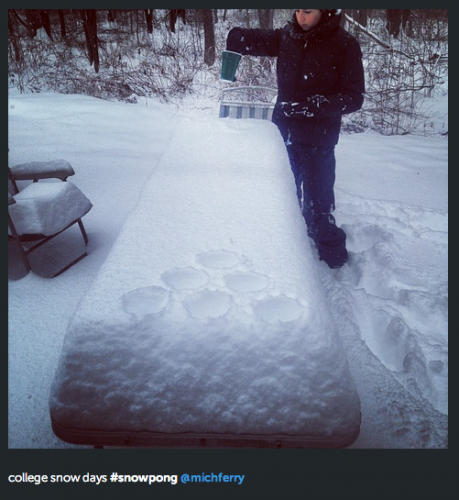 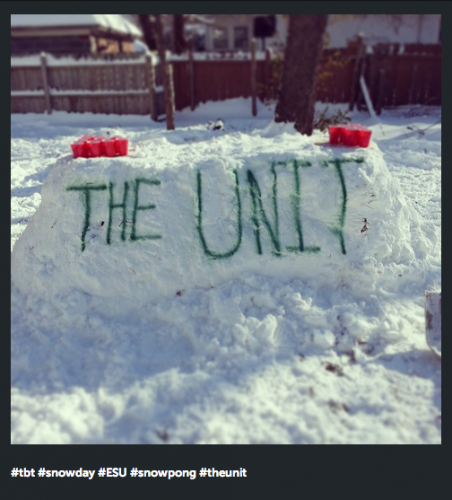 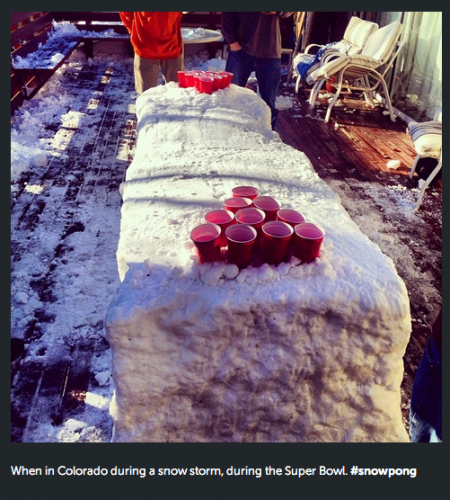 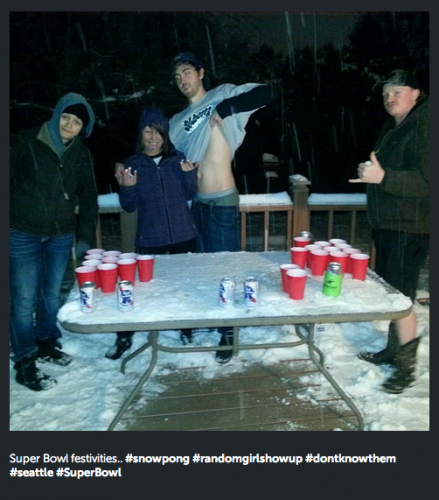 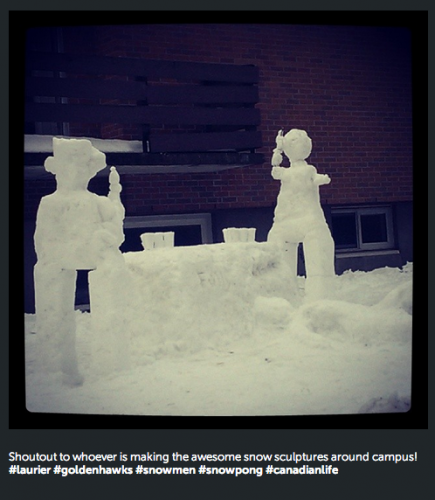 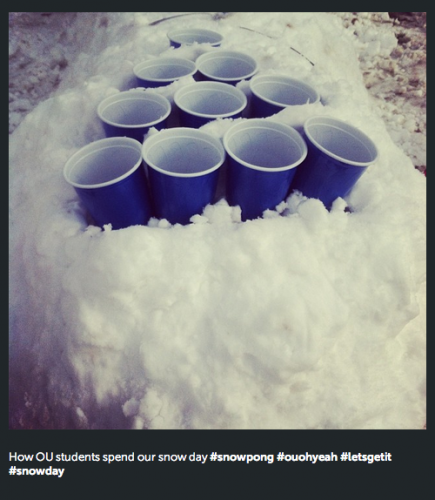 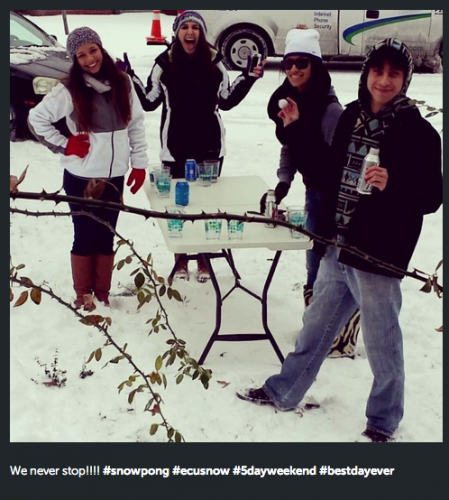 Scroll down for all our favorite #snowpong Instagrams.